Arif was raised in Sylmar, California. In 1991, he married Pamela. They now reside in Santa Clarita, California and have three children: Logan, Amber, and Peyton. Arif has dedicated his life to protecting people. He transitioned from nearly 11 years of service with the Los Angeles Police Department to helping people protect and preserve their hard-earned assets. Arif’s focus and mission is to help people save money and create retirement strategies to fit their financial retirement needs. 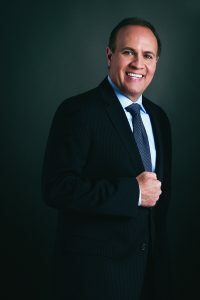 As President & CEO of Total Financial Solutions, Arif Halaby has 22 years of experience as a financial professional, and specializes in designing retirement strategies. Arif is licensed in multiple states.